The night began with a pre-show tribute to Dance Lecturer Marilyn Sylla, celebrating her time teaching in the Five College Consortium. 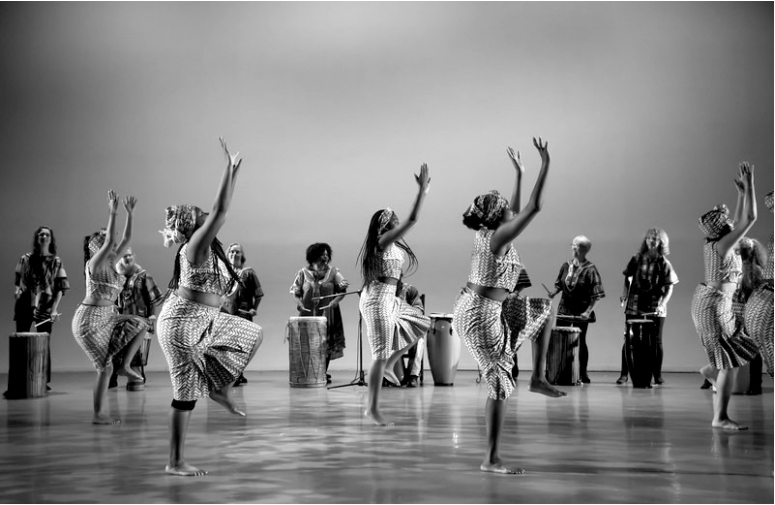 Sylla’s piece, “African/Caribbean Suite,” marked the last of her 24 years with the Mount Holyoke Dance Department. “This work features movements from dances of freedom, empowerment, healing and rites of passage,” Sylla wrote in the program. “Dancers, you are Fabulous! Valley Women Drummers you Rock! Much love to all. Ashe.” This final piece came to a close with flowers for Sylla and a standing ovation from the audience. In return, Sylla blew kisses and held up a peace sign as the curtains closed. This annual concert features students from all of the Five Colleges and marks the start of the performance season for the Mount Holyoke Dance Department. Students begin rehearsals in September with faculty, alumnae or visiting choreographers and then rehearse weekly in preparation for the performance. This year, the show featured a wide range of dance styles, including West African, modern, hip-hop, contemporary ballet and house dance. Johnson choreographed “Our House,” the house number which closed out the show. According to Sienna Jessurun ’20, one of Johnson’s dancers, house dancing is a style of social dance involving floor work and constant movement of the upper body. Jessurun said she thinks it’s important to perform different styles of hip-hop at Mount Holyoke, so the audience can understand more about the dance form and where it comes from.